Last month we added Finland. Kinsta now has 17 Google Cloud data centers you can choose from (this is the fifth in the United States), allowing you to place your website in a geographical location closest to your visitors. This ensures better data privacy, low latency, and blazing fast load times. According to Internet World Stats, California alone has over 1.9 million internet users. Google has stated that this new region can significantly improve latency for end users in Southern California, and by up to 80% across Northern California and the Southwest. Previously the closest available data center was in Oregon. But don’t take our word for it, you can use GCP Ping to see for yourself how fast the Los Angeles region is from your location. 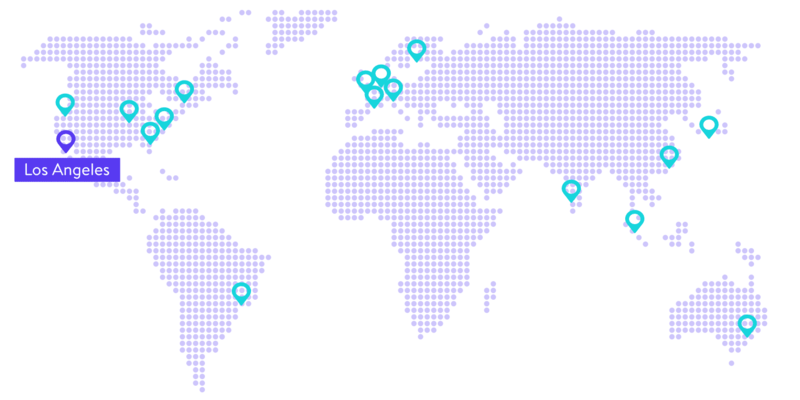 And don’t forget, the Kinsta CDN also has a location in Los Angeles, as well as two others on the West Coast. 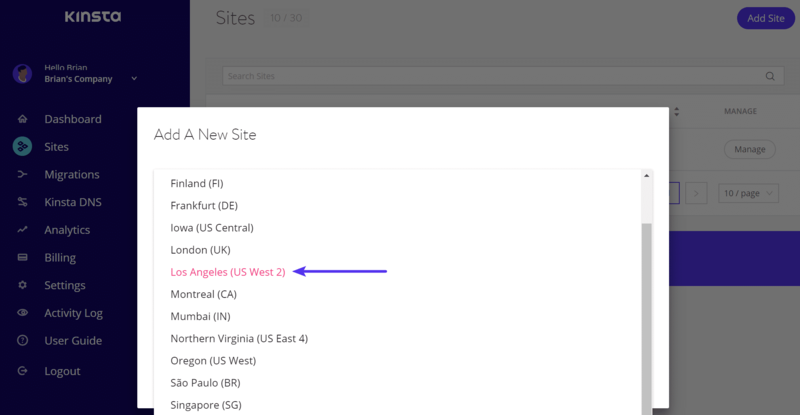 This new location is now available from within the MyKinsta dashboard when you go to add a site: Los Angeles (US West 2). If you’re interested in moving your existing WordPress site, simply open up a support ticket. Moving locations requires an IP address change and additional steps from our team.